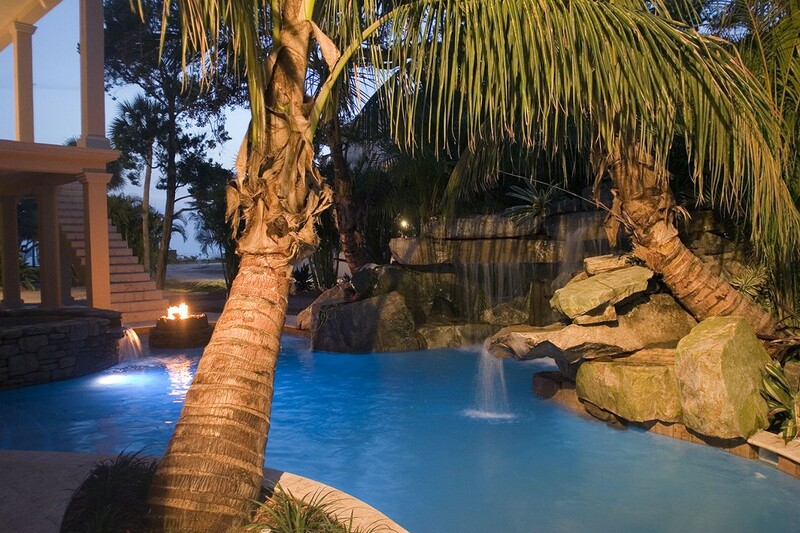 The exterior design for this award winning lagoon pool included a large grotto waterfall water feature that was built with natural Tennessee fieldstone and large rock boulders. 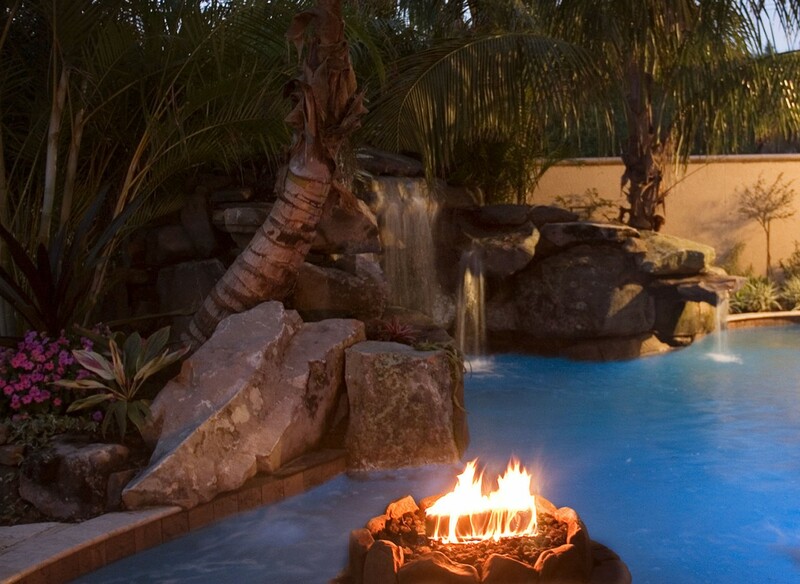 A stone fire pit was built inside the lagoon pool with its own seating area in the pool around the fire pit. 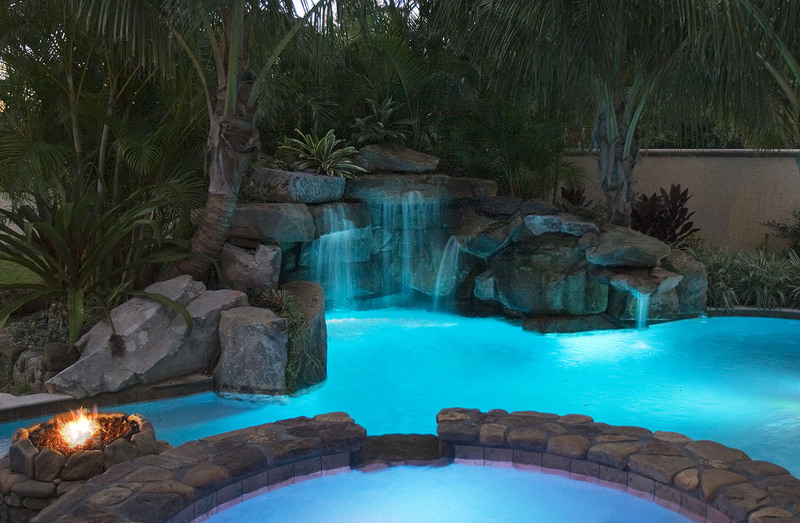 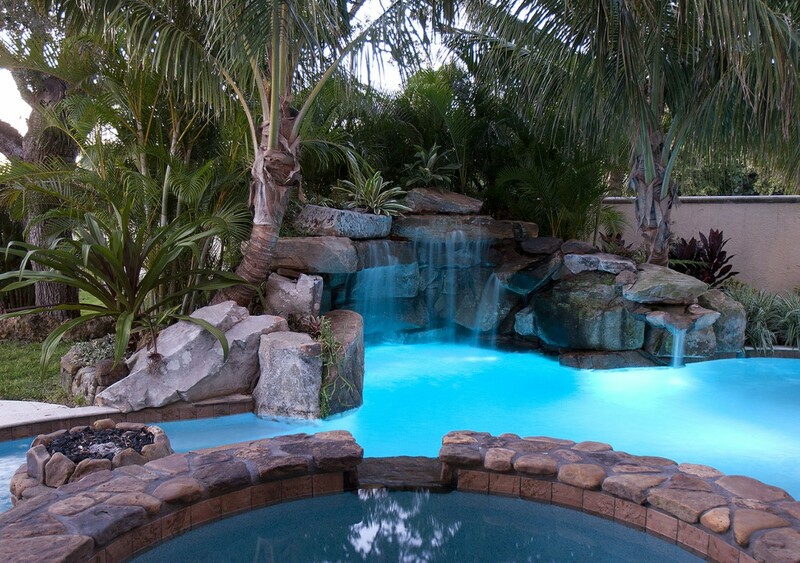 The grotto waterfall lagoon pool and spa is surrounded by lush tropical landscaping and outdoor lighting creating a tropical paradise for the exterior design.